Who Has Ascended To Heaven? 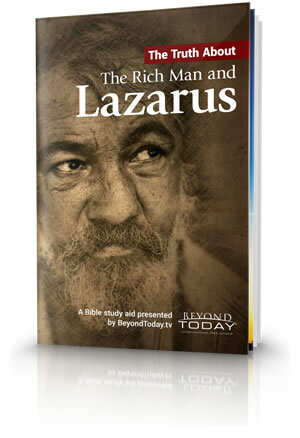 The tale of the rich man and the beggar Lazarus is one of Jesus' most well known parables. It's also one of the most misunderstood sections of the Bible. What was Jesus teaching through this parable? Was He explaining the afterlife? Was He explaining how to live in the present life? Read to find the answer! *That is, except Jesus Christ, who came down from Heaven (John:3:13 And no man hath ascended up to heaven, but he that came down from heaven, even the Son of man which is in heaven.). But when you read in Luke:16:22 And it came to pass, that the beggar died, and was carried by the angels into Abraham's bosom: the rich man also died, and was buried; that "the beggar died, and was carried by the angels to Abraham's bosom," it's easy to assume this means Lazarus was taken to heaven. 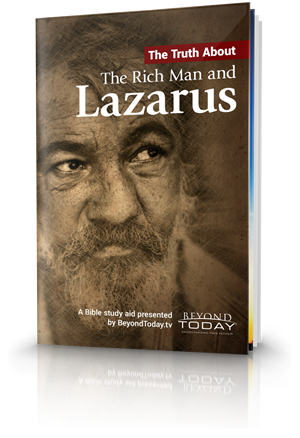 Let's go back over the second part of Luke 16:22 which states, "The rich man also died and was buried." Let's pause once again to ask a fundamental question. What does the Bible reveal about the state of the dead? "For the living know that they will die; but the dead know nothing…For there is no work or device or knowledge or wisdom in the grave where you are going" (Ecclesiastes 9:5, Ecclesiastes 9:10 Whatsoever thy hand findeth to do, do it with thy might; for there is no work, nor device, nor knowledge, nor wisdom, in the grave, whither thou goest. ).